Despite being responsible for the success of the businesses along South Division, the working class is faced with little room to advocate for financial freedom and equitable access to opportunities. Every day of the week, including the weekends, members of the working class wake up before the sun rises, before many in the city have hit the snooze button on their alarm clock, to prepare for the day of work ahead. They get on the 5:30am bus to open up the grocery store before the owner arrives; they labor after hours to make sure every table at the restaurant is clean for tomorrow’s customers. 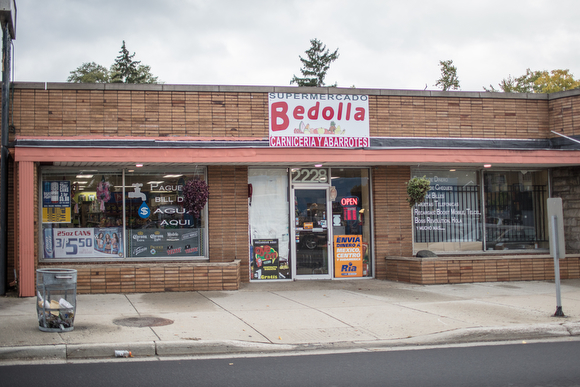 They may not get the credit, the glory or the accolades, but their continuous efforts ensure the success and vitality of the restaurants, grocery stores, auto repair shops, and hair salons of the communities found along South Division Avenue in the Garfield Park and the Burton Heights neighborhoods. For the outsider, these successful shops and their business owners are exemplars of "The American Dream." Exemplars of a misconception that this country truly provides equitable access to opportunities for all, when the reality is there is a total labor force of 6,394 people in this area along South Division; 4,297 individuals who are employees; and 4,661 people who are living in poverty, according to data compiled by the Dorothy A. Johnson Center for Philanthropy at Grand Valley State University. Not all of those who are employed reside in the area, but of those who live and work in these spaces, the opportunity to advocate for a living wage and have economic freedom is a privilege with which they are not afforded. In the state of Michigan, the top 1 percent of income earners make 22 times more than the bottom 99 percent, according to a June 2016 report from the Economic Policy Institute, a nonprofit think tank. Such a disparity translates to the top 1 percent earning 17.9 percent of all the income in Michigan, with the average annual income of the top 1 percent being $834,008 in 2016, according to the EPI. Meanwhile, the average annual income for Michigan's "bottom" 99 percent is $37,896. Taking an even closer step to home, per the 2016 June report by the EPI, the Grand Rapids-Wyoming metro area has the greatest income inequality of any metropolitan area in Michigan. For those living alongside South Division, wealth inequality is felt even more strongly than any other neighborhood in our city. In these communities, close to 24 percent of people are unemployed, according to 2010 census data obtained from Dorothy A. Johnson Center for Philanthropy at Grand Valley State University and Community Profiles database. In these communities where the rate of unemployment is three times the national average, many families struggle with finding stable employment to cover the cost of their basic needs. They do not have the privilege and the choice to look for meaningful work; instead, many forego their expectations to try to make their monthly rent payments. For Sergio, Flor and Melanie Bautista, coming to Grand Rapids was access to better opportunities. 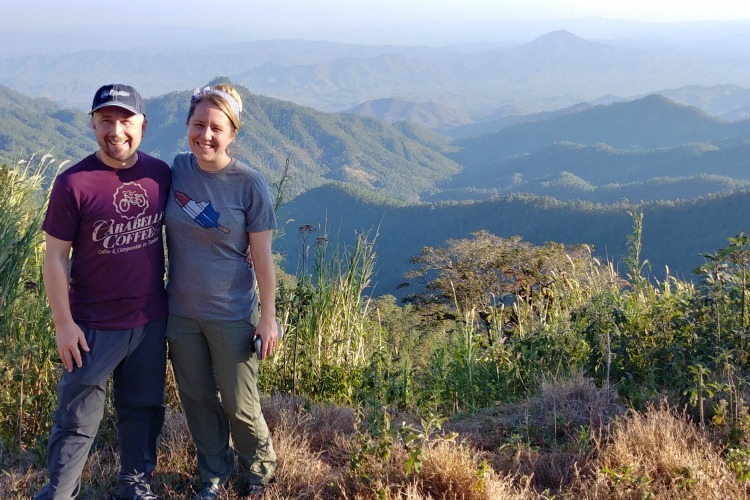 At the time, Melanie was a little baby, and the Bautistas wanted her to have access to education she wouldn’t otherwise have access to in their hometown of Veracruz, Mexico. But when the Bautistas first arrived, their dreams of a better life in the United States quickly adapted and changed. 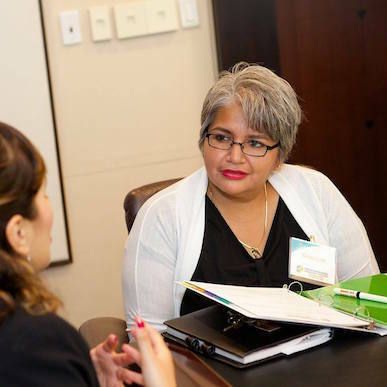 Obtaining work proved to be difficulty, and Flor Bautista couldn’t stay at home with the baby. Upon settling here, Sergio Bautista began looking for work and was able to obtain employment in a local factory. However, the hours proved to be long and the work exhausting, so he began seeking employment at one of the Latinx grocery stores. At Supermercado Bedolla, past the shop’s busy aisles and the refrigerators displaying Jarritos of all colors and flavors, proudly stands Sergio Bautista sporting a clean white T-shirt and an apron behind a beautiful display of jamon de pavo, diezmillo and pechuga sin hueso (turkey ham, thin sliced chuck steak and boneless chicken breast). 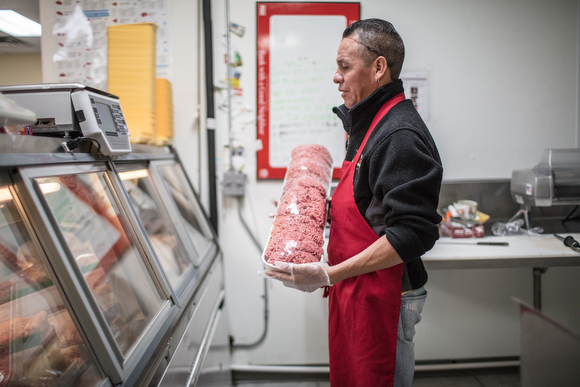 Bautista is the carnicero (butcher) of the Latinx grocery store located at 2228 S. Division Avenue. He takes great care in ensuring all of the customers receive excellent customer service, which usually includes a lengthy conversation about the dish the patron is planning to prepare. Sergio Bautista attending to a client behind the meat display at Supermercado Bedolla. 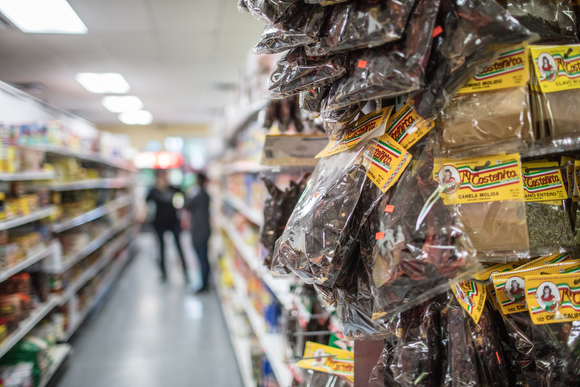 Along South Division, between Cottage Grove and Ken-o-Sha Drive, one can appreciate the area’s variety of Latinx grocery stores. All of them provide products that the Latinx customer wouldn’t be able to find at many of the larger grocery stores in the city. In these spaces, the customer is encouraged to speak their native language, which, for the majority of them, is Spanish, offering an opportunity for the customers to recreate dishes and memories from back home. At Supermercado Bedolla, Bautista is in charge of preparing the meat before it is displayed for the shoppers. He is an expert at preparing and cutting la bola de res for milanesa (translation: part of the cow’s leg cut specifically for dishes which include breaded meat). He works at the store six days out of the week from 9am to 4pm, except for Tuesdays. Because he does not have to be at work until 9am, he is able to spend the morning with his wife and daughter, preparing breakfast and taking Melanie to school and Flor to work. Although Bautista works full time and receives a salary, the bills and the rent are too high, and Flor has to work full time at a crystal factory in the area. As part of the working class, the Bautistas are dependent on the income of both parents to be able to cover their basic needs and the cost of housing. "For those who immigrate to this country, advocacy in the workplace often is the very last thing on their mind; they are worried about securing full time employment," explains Gema Lowe, Organizer of the Workers’ Center of West Michigan/ Centro de Trabajadores del Oeste Michigan. 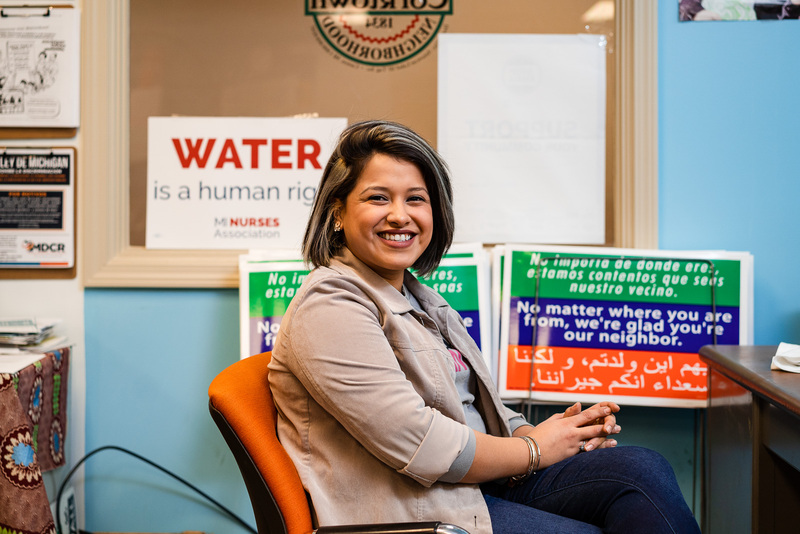 Gema LoweThe activist originates from Guanajuato, Mexico and has been working the last two years to empower workers to advocate for their rightfully owed wages. The working class communities include those employed in construction, landscaping and farm laborers, poultry and meat processing workers, and nursing home workers, explains Lowe. The organization started under the umbrella of The Micah Center, a faith-based social justice organization, to help educate, advocate and empower the working class of the greater Grand Rapids area, many of whom are faced with wage theft and poor working environments. The group formally began in 2012 after Mayor George Heartwell appointed a task force to investigate wage theft in the city. They were responsible for helping pass the city ordinance of 2014 aimed at ensuring those businesses wanting to contract with the city had do demonstrate no sanctions of wage theft during the last two years. They work to ensure employees are educated and have the appropriate resources to improve their working conditions and demand their owed wages. Bautista explains that he himself has limited English proficiency because he does not have the time outside of work to dedicate to learning the language. This makes it very difficult for him and his wife to advocate for themselves in spaces where the use of the Spanish language is not possible. "Poder sentirme en casa en el trabajo es muy importante para mi, y por eso busque un trabajo en un negocio Hispano," explains Bautista. Translation: "Being able to feel at home at work was very important for me, and that is why I looked for work at a Hispanic business." Melanie, who is now 10 years old, goes to school at Cesar Chavez Elementary School and is completely fluent in both Spanish and English. “Aqui en el trabajo solo hablo puro Español y no puedo practicar el Ingles” explains Bautista. Translation: “Here at work I only speak Spanish, and I don’t get to practice my English." The Bautistas live and work the West Hope Zone of Grand Rapids, one of the four Hope Zones in the city. These areas have been identified as “Hope Zones” with the goal of closing the achievement gap in four low-income neighborhoods of the city of Grand Rapids. These zones were identified as such by a $4 million dollar initiative through the Grand Rapids Student Advancement Foundation, W.K. Kellogg Foundation and the Doug and Maria Devos Foundation to intentionally provide resources for these communities. 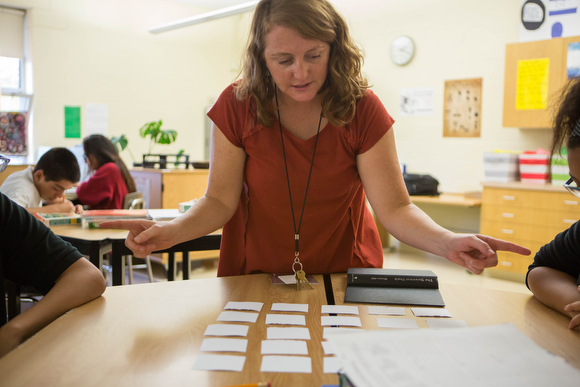 Lindsay Mcholme, the seventh and eighth grade English Language Arts Teacher at Southwest Community Campus, a dual immersion Spanish-English bilingual setting, and author of the 2016 study focused on examining the adult literacy rate in English for individuals living on the West Hope Zone of Grand Rapids, explains some of the barriers our immigrant communities face when attempting to learn English. Lindsay Mcholme at Southwest Community Campus during one of her daily English Language Arts classes. “Lack of and/or affordability of childcare, transportation, and time constraints due to long hours at work” are some of the largest barriers, Mcholme states. Mcholme explains the importance of understanding each experience as unique, particularly when related to literacy. 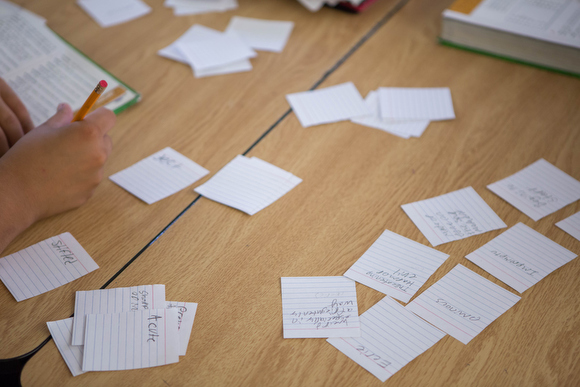 Students at Southwest Community Campus practice words in English. 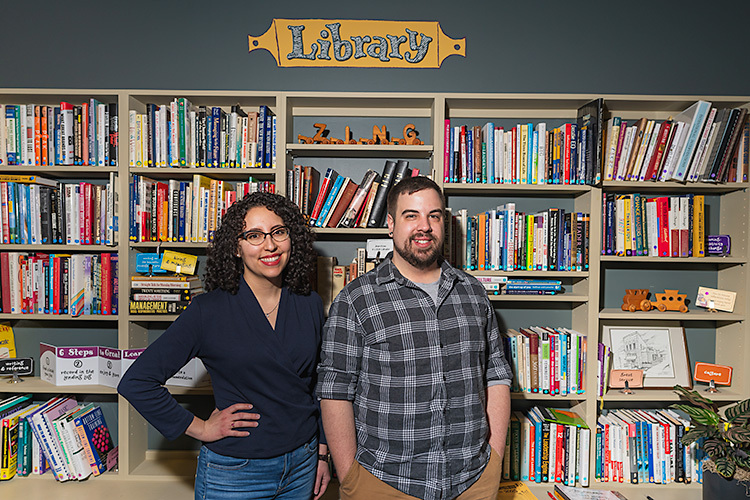 In the West Hope Zone, which includes the Burton Heights and Roosevelt Park neighborhoods, the illiteracy rates in English is at 75 percent, compared to the entire city of Grand Rapids’ 21 percent. To address these staggering numbers, organizations like The Literacy Center of West Michigan provide family literacy programs to provide practical ways of learning English to families with children in Head Start for Kent County, Grand Rapids Public Schools, and Godwin Heights Public Schools. On The Ground GR is a new Rapid Growth series. This series will highlight and celebrate the communities found along South Division Avenue that touch the Garfield Park and Burton Heights neighborhoods. You can read all the On The Ground articles published to date here. Follow On The Ground GR's work via Twitter (use the hashtag #OnTheGroundGR), Facebook and Instagram. To connect with On The Ground GR's editor, Michelle Jokisch Polo, you can email her at michellejokisch@gmail.com and follow her on Facebook and Instagram. 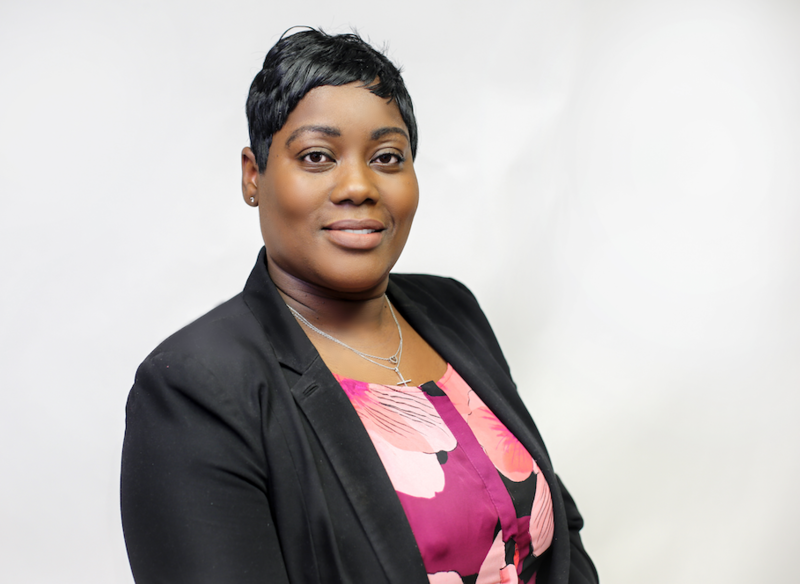 Learn more about Michelle here. On The Ground GR is made possible by the Frey Foundation, the Grand Rapids Community Foundation and Steelcase, organizations that believe democracy thrives when people and communities are informed and engaged.